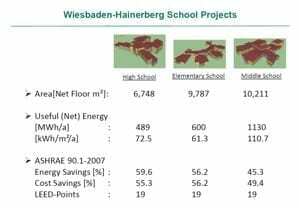 Baumann Consulting performed LEED consulting, energy modeling, fundamental and enhanced commissioning, and M&V for Wiesbaden high school, located in the US Army housing area in Wiesbaden, Germany. This high school building is the first phase in a project upgrading the entire school campus. The middle and elementary schools are following, and the entire upgrade is set to be finished in 2021. The high school upgrade sets the standard for all three schools, which is designed according to the “21st Century Schools” Program standard. 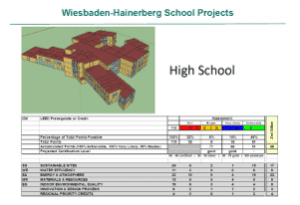 [:de]This high school building is the first phase in a project upgrading the entire school campus. The middle and elementary schools are following, and the entire upgrade is set to be finished in 2021. The high school upgrade sets the standard for all three schools, which is designed according to the “21st Century Schools” Program standard.